Finding the right person to have dinner is a tough choice. 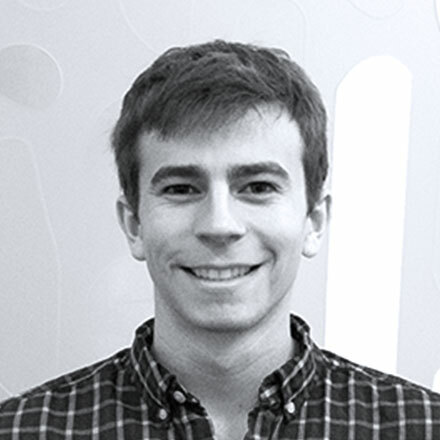 But Dan Friedman, who is the cofounder of Thinkful, would be someone I would be interested in taking out to dinner. Thinkful is an online programming school for grown ups. People who sign up for the course spend 7 to 10 hours weekly on course load costing from $1,200 to $1,500 and weekly one-on-one coaching from mentors, who are industry experts. The courses range from web development to data science in various skills levels. I have always been interested in learning about the use of technology to better the world in a sustainable way. As our world becomes more interconnected, it is only wise to use the knowledge to create a better tomorrow. Knowledge is one of those important things that need to be stored and transferred. Thinkful is a creative and effective way to spread knowledge on a global level and provides individuals a chance to learn from experts themselves. This method can spark higher levels of innovation as it can aid in the solving a higher number of problems we have in the world. Also the one-on-one mentorship gives them a competitive advantage as it helps creates a relationship that can enhance the learning experience. I would be interested to learn about Dan’s vision of Thinkful and how he thinks about it fitting into our overall society. Also just being able to pick his brain about other ideas he is interested in pursuing with the use of technology to improve the world. Education is an important aspect to this because education should not stop after finishing school, so Thinkful provides people, who are interested in going into the programing field, the opportunity to receive an proper, affordable education with the investment of mentors, which allow for significant amount of information to be effectively taught/learned. I would take him to dinner at a restaurant that has more of a modern feel to it. I think he would he interested in going to a place that gives a good vibe and good drinks. I would think of a place that provides both the option of nice restaurant setting and lounge depending on his preference. Programming, like film or TV production a generation ago, or writing, or acting, are creative endeavors that emerge at the fringes and then get absorbed by the credentialing and education. They can get professionalized. And that can have downsides, such as raising barriers to entry. The pioneers in a new field are usually self-taught and much more hacker-y. Thinkful seems to be partly offering a middle ground- a chance to get the skills needed to contribute without paying the full costs of a four year (or more) higher education. Is it $1200 to $1500 a week or a semester? One of my friends spent a year learning to program on top of working another job…obviously not an easy endeavor but he is being handsomely rewarded now that he can combine business and computer science.